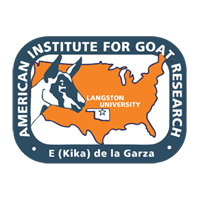 Dairy goat herds in the United States generally are small, widely scattered, and distant from processing facilities. Unlike the situation for cow milk, it is not cost-effective to collect goat milk everyday or every other day. In some areas, goat milk is collected only once each week, which is in violation of regulations specified in the Pasteurized Milk Ordinance for grade A milk. This study was conducted to determine the effect of up to 7 days of refrigerated bulk tank storage on composition, somatic cell count (SCC), pH, and microbiological quality of goat milk. Duplicate farm bulk tank samples were taken daily after the morning milking for seven consecutive days each month during the lactation season. Samples were analyzed immediately for all variables except free fatty acids. There were no significant changes (P > 0.05) detected in milk fat, protein, lactose, nonfat solids, SCC, or pH during extended storage, although significant effects of stage of lactation (P < 0.05) were observed. The mean standard plate count (SPC) increased to 1.8 × 105 CFU/ml after 6 days of storage, exceeding the grade A limit (i.e., 1.0 × 105 CFU/ml). The mean psychrotrophic bacteria count increased steadily to 1.5 × 104 CFU/ml after 6 days of storage, whereas the mean coliform count was approximately 500 CFU/ml for the first 3 days and less than 2,500 CFU/ml throughout the 7 days of storage. No significant changes (P > 0.05) in the concentrations of free fatty acids, except for butyric and caprylic acids, were observed during milk storage. When stored under refrigerated and sanitary conditions, goat milk in farm bulk tanks met the grade A criteria for both SPC and SCC during 5 days of storage but was of low quality thereafter because of the growth of psychrotrophic bacteria.